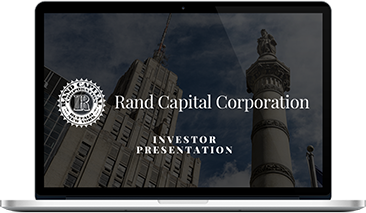 Rand Capital (NASDAQ: RAND) provides investors the ability to participate in venture capital opportunities through an investment in the Company’s stock. Rand is a Business Development Company (BDC) with a wholly owned subsidiary licensed by the U.S. Small Business Administration (SBA) as a Small Business Investment Company (SBIC). Rand focuses its equity investments in early or expansion stage companies and generally lends to more mature companies. The Company seeks investment opportunities in businesses with strong leaders who are bringing to market new or unique products, technologies or services that have a high potential for growth.